Collin County has some beautiful wineries reminiscent of California. Purchase a bottle and enjoy it on the patio while listening to live music. Boutique style winery offering a wide range of wines. Enjoy some live music (see website for dates), sip some wine, learn the process, and visit the goats in the barn. Over 5,000 vines are planted at this beautiful winery. 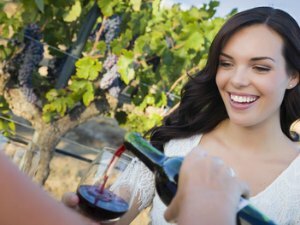 Vineyard tours and live music are offered Saturdays and Sundays. Vineyard and winery with special musical events. Guests are welcome to bring a picnic but must purchase a bottle of wine to enjoy the grounds. First commercial vineyard in Collin County and northeastern DFW. The three-acre clay and limestone vineyard is used exclusively for Cabernet Sauvignon Reserve and Rose Wines. Vineyard tours and wine tastings. Concerts once monthly.